At our “Mas” – a wonderful former farmhouse, now superb boutique hotel – you can enjoy the undivided attention of our Michelin-starred chef. A weekend of culinary wizardry awaits where you shop at food markets, cook, learn to present, taste exquisite wines – even eat at the chef’s table. 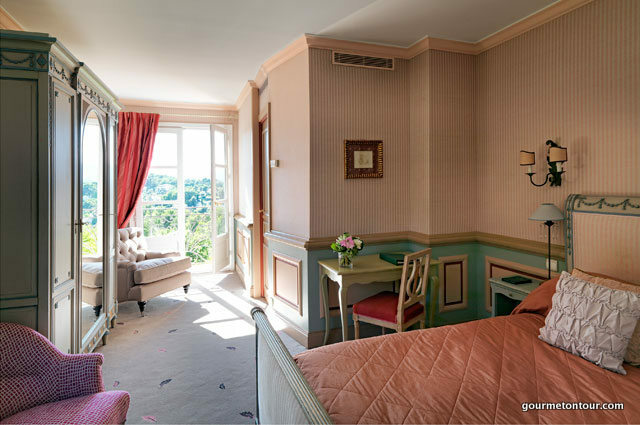 And all in the deliciously luxurious surroundings of a hotel that overlooks some of the finest countryside in the south of France. If you prefer to travel at your own pace with our local guides, our private trips are for you. 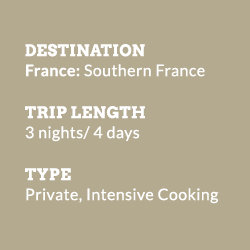 Our culinary journeys focus on immersion into the local culture. We introduce you to local experts who invite you into their culture and kitchens to participate. 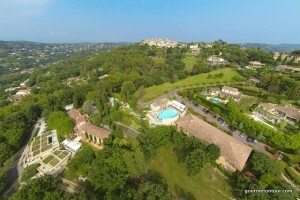 The hotel sits in the medieval village of Mougins in the Southern France. With its winding streets lined with cafés, restaurants and boutiques it is as pretty as a picture. Grasse is less than half an hour away, best known for its perfumeries, and where the famous flower market is held every morning. 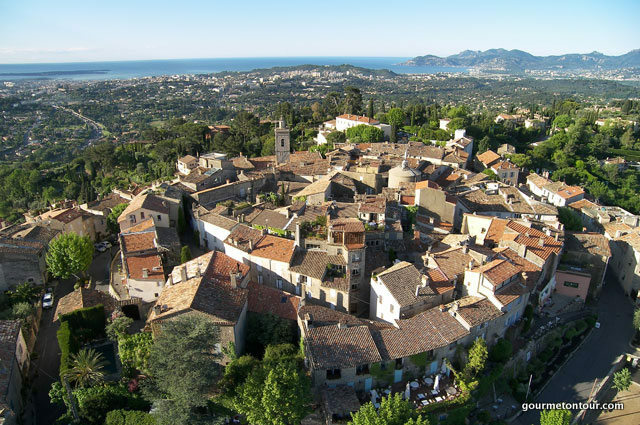 The old town of Antibes is a hub of wonderful eateries. 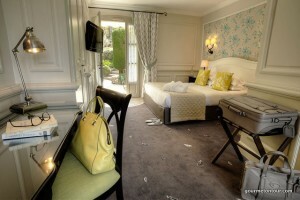 Explore the nearby Riviera of the Cote d’Azur from Monaco to Cannes for a bit of glitz and glam. In the Michelin-starred kitchen the ingredients are sized up. 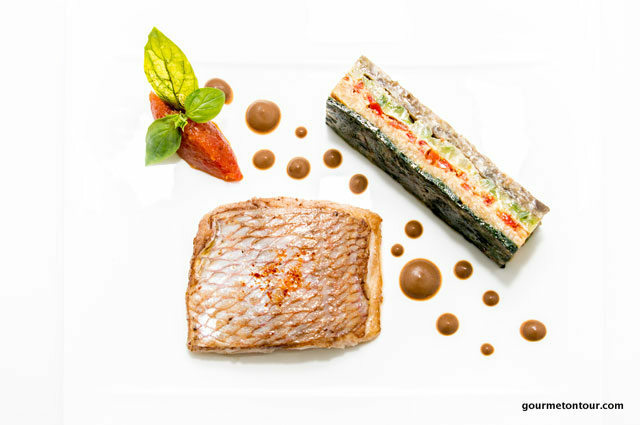 Ceps are sliced and drizzled with lemon oil, tuna is transformed into sushi with aubergine caviar, tomatoes seared with rosemary and garlic and topped with gazpacho of scallops. During your cooking course you watch, participate, try and interrogate.“I will show you how to create a dinner party to impress your friends.” Guidance is always at hand. The key to success, it seems, is to keep it simple – and it’s no myth that it’s all in the presentation. “People come to pick your secrets and find out why yours is so good. 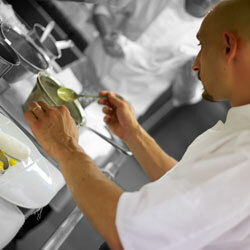 With nothing we are able to do something in a few minutes.” says the chef. Dining at the chef’s table in the kitchen is like having front row seats at the theatre, where no two nights will ever be the same. Each of the eight courses is served to your table by the chef himself. Meanwhile, the whirlwind of activity around you not only whets your appetite, but also gives a unique insight into how each dish is created. 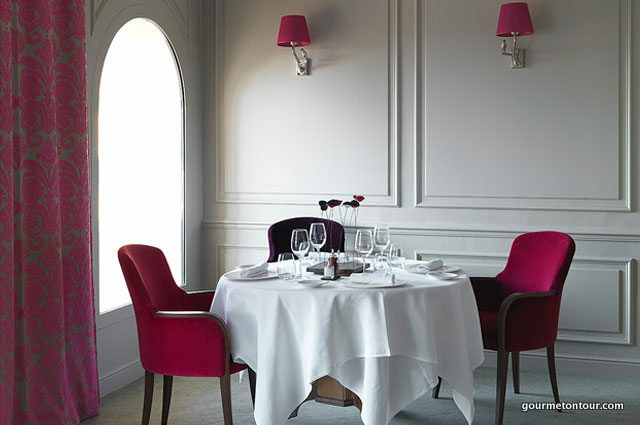 The sommelier matches wines to every course. Food is lavish, elaborate and served with true French flourish; dining is a ritual, and one not to be rushed. Of course wine is an important part of a gourmet weekend, and a wine tasting with Dennis, the sommelier, introduces a new set of sensations to the palette. A selection of six or so wines from the surrounding area bring with them a full range of flavours: Dennis is on hand for background information, explaining why each is unique and what you should expect from it. Here is one of the few places in the area that serves Abbaye de Lérins. Produced by monks who live on Saint Honorat Island just off Cannes, only 35,000 bottles in total are available each year. 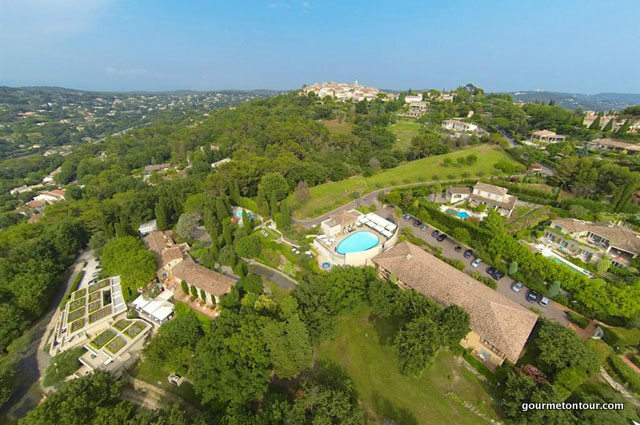 Located in Mougins between Cannes and Nice and set in a 9-acre park, your home during your stay on the French Riviera is a luxury boutique hotel with 46 beautifully designed rooms, two gourmet restaurants, an award-winning Shiseido Spa, three swimming pools and two Jacuzzis. Most rooms enjoy a balcony or a terrace. Between cooking courses and the many wonderful places to explore in the region, indulge in all that the hotel has to offer. 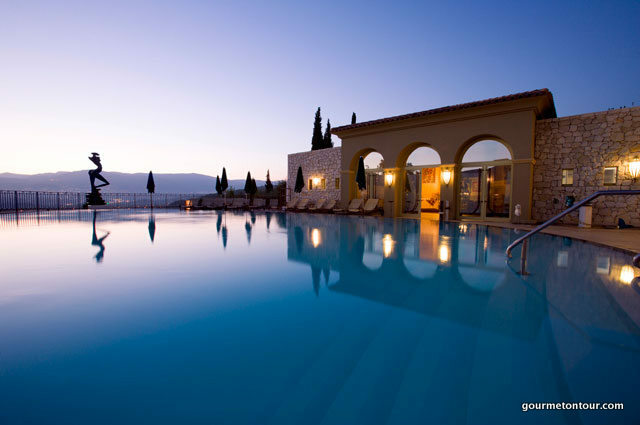 The infinity pool is spectacular, with an amazing view over to Grasse it’s the perfect place to relax. 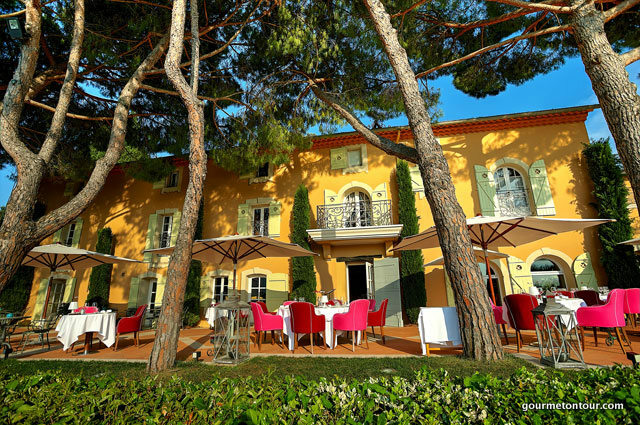 For the ultimate pampering moment a treatment at the Shiseido spa is the perfect end to day in Southern France! Available year-round upon request except for January. Min 2, max 6 guests. Special rates during low season. 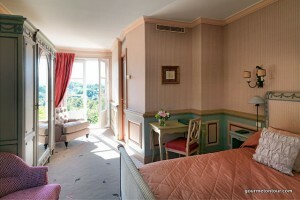 Special offer during middle season: Stay one more night free of charge. Rennes is 1 hour away with links to Eurostar in Paris and Charles de Gaulle Airport as well as direct flights to Paris, Edinburgh and Dublin. Dinard Airport is a 40 minute drive with Ryanair links to London and East Midlands. Nantes Airport has direct links to Dublin, East Midlands, Leeds Bradford, and Marseilles. St. Malo port and the wonderful seaside resorts of Val Andre are only an hour away. Paris is 3 hours via rail to Rennes. We offer a free pick up and drop off at the railway station of Lamballe. 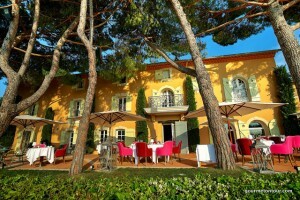 Scrumptious breakfast on the terrace and departure – A bientôt! 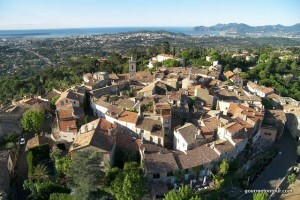 Mougins is a gorgeous town with a selection of restaurants for evenings when meals aren’t provided. The food in France is the best I have ever eaten in my life. 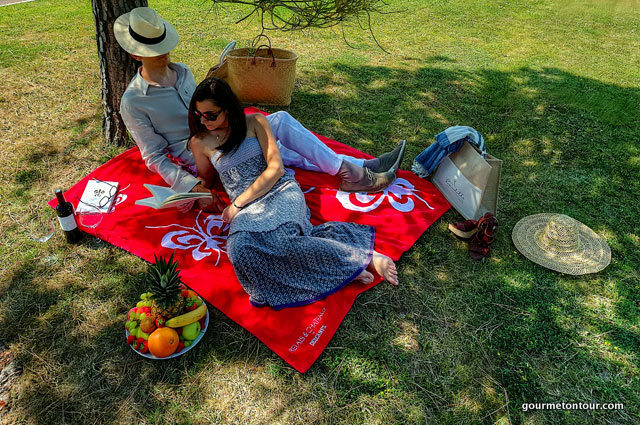 We’re enrolling in a French course and can’t wait to be back in the near future. “We had a wonderful time in France. Our week at the Mas was definitely the highlight! The hotel was beautiful and the service was excellent. 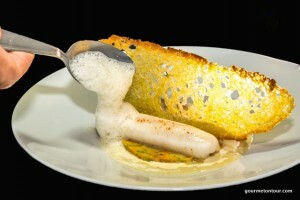 Amazing gastronomic experience. Inspiring Chef. Spectacular hotel. 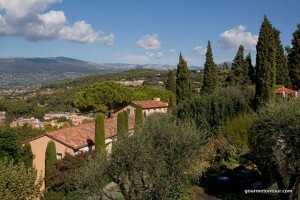 “We have now returned from the Southern France, having enjoyed a wonderful 4 days in Mougins taking part in an amazing gastronomic experience with Serge who cooking is so inspiring. We had great fun with our cooking lessons going to the market and then cooking with the ingredients plus a ‘few extras’ Serge had organised before hand. An 8-course lunch appeared out of nowhere and we learned so much from him by watching and chatting during the process. Our gastronomic dinner at chef’s table was also a fabulous treat on the Friday evening during normal service in the restaurant. The Mas is of course a spectacular hotel in a perfect setting.